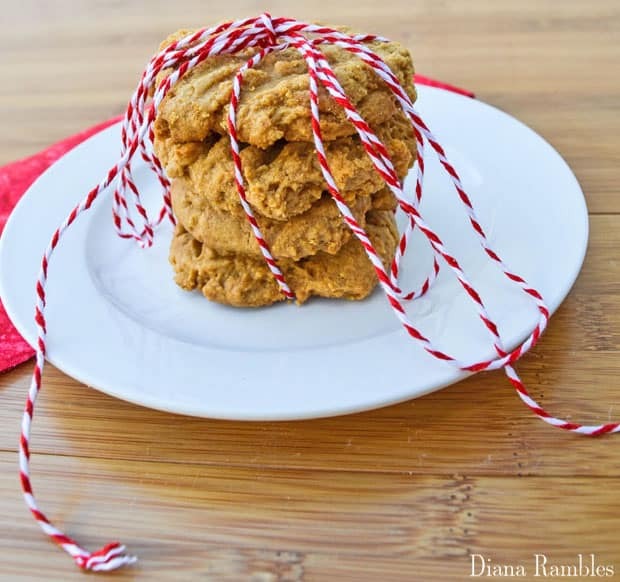 Here is a flour-less peanut butter cookie recipe that is both lower in carbs and gluten-free. It is that time of year when I get together with friends to watch our favorite reality TV show each week. You know the show~ the one with a single guy dating lots of girls at once. Yes, it’s the Bachelor. We do not watch it because we believe this is the path to true love, but rather because we love all the drama. We also watch for an excuse to get together once a week. Occasionally we will start early and eat dinner together, but usually, we just show up at the broadcast time and bring a snack. The weekly host recently started Weight Watchers. I want to support my good friend, so I am going to stop bringing over my decadent desserts that I like to make. 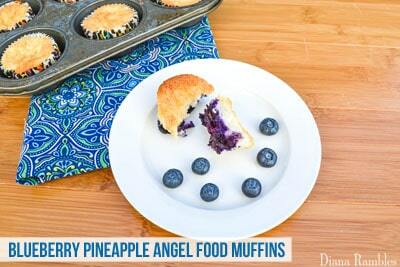 Instead, I am going to create healthier versions of snacks and desserts that will keep her within her allotted totals. 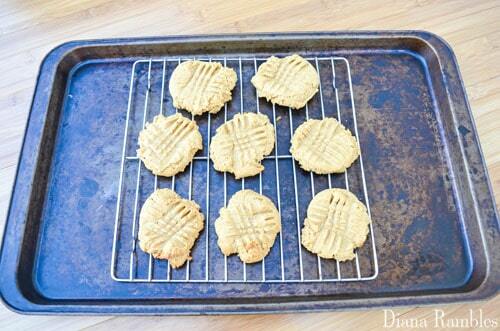 The first of those desserts are these healthier flour-less peanut butter cookies. 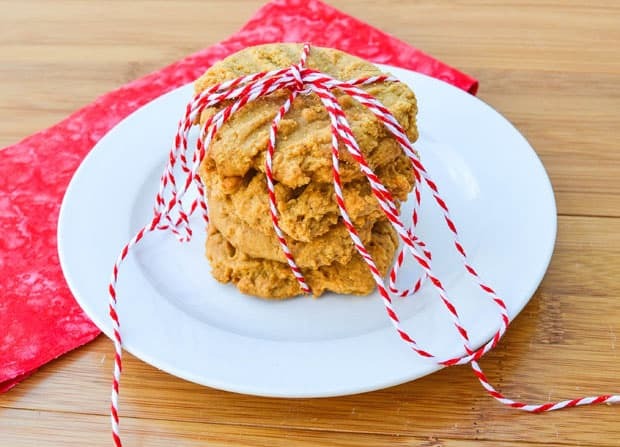 There are four simple ingredients in this recipe: natural peanut butter, egg, a sugar substitute, and baking soda. Press down centers with the back of a fork, making a criss-cross pattern. 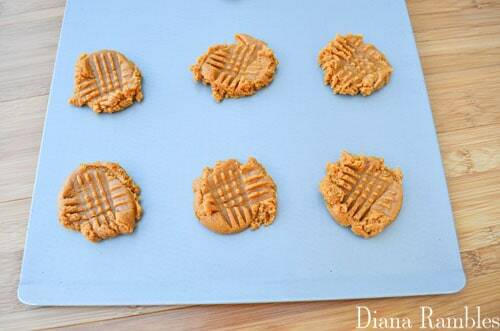 Bake for 10 minutes or until the edges start to brown. 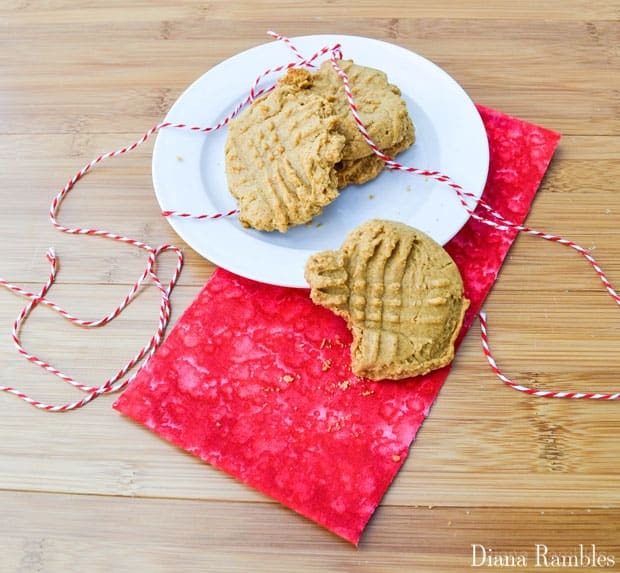 These peanut butter cookies are quite delicious! They are very flavorful, but quite crumbly too. Hard to believe that they are only 1+ points on a Weight Watchers diet. My friend really appreciated the effort. I have another recipe in the works for next week’s viewing party. 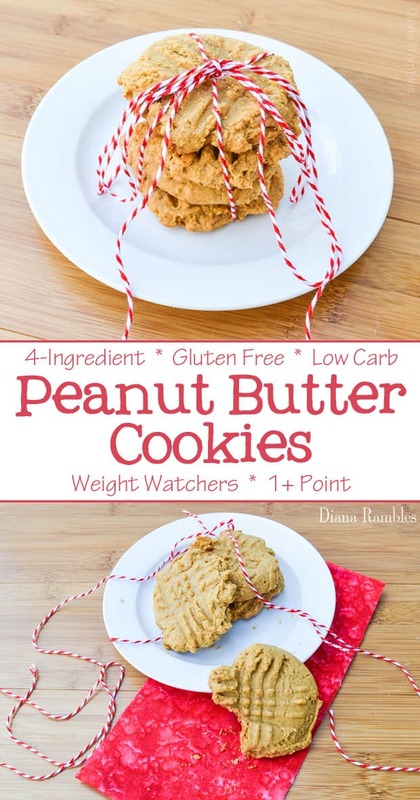 Enjoy these gluten free low carb peanut butter cookies. Only 1+ point on Weight Watchers. 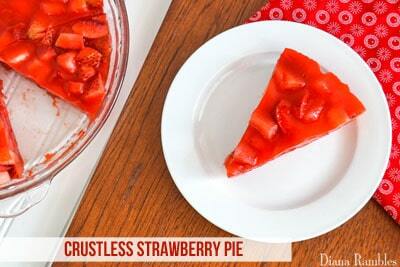 Another good dessert for my Low Carb collection. Pinned. So glad you shared with us at Merry Monday. 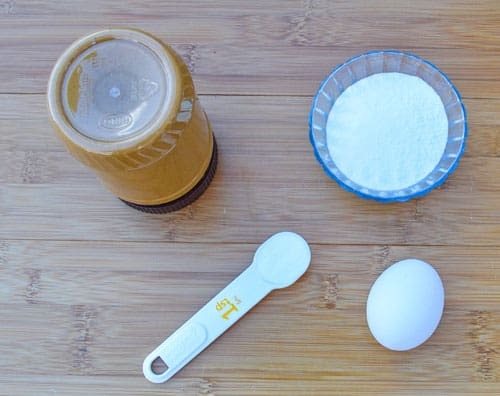 This post is a feature pick for a Low Carb round up this week. See ya Sunday for the new party!